Traditionally, May 1st activities included festivals to mark the beginning of spring. But more importantly, May Day is a historically powerful day for workers’ rights. 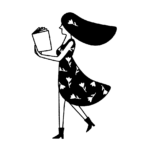 May 1st has been a labor holiday since the 1880s in many parts of the world — it’s better known as International Workers’ Day. During that era, labor movements all over the world were fighting for fair work accommodations, such as unions and eight-hour work days. Today, May Day remains an important day for workers’ rights all over the world. Although, of course, Labor Day doesn’t roll around until the first Monday of September in the United States, May 1st also marks the anniversary of the Haymarket Riot in Chicago, in which a violent confrontation between police and labor protestors left four people dead. Over one century later, protests and demonstrations are held all over the world to advocate for workers’ rights. In 2017, the protests are especially relevant because they aim to highlight the contributions of immigrant workers — a hot button issue in America and abroad. As a result of the Trump administration’s policies, protests are expected to be widespread and larger than usual in the United States. 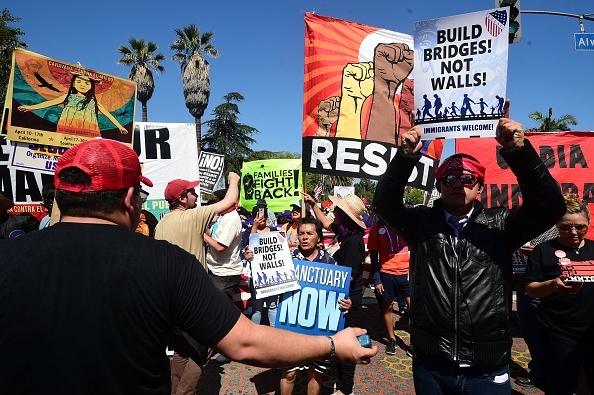 The “May Day Coalition of Los Angeles,” a network of more than 100 organizations, will lead a march from MacArthur Park to Los Angeles City Hall. Although it’s the city’s biggest march, two others are scheduled and they’ll also place a strong focus on immigrant rights. However, this won’t be the first time that May Day marches create a massive impact in Los Angeles. 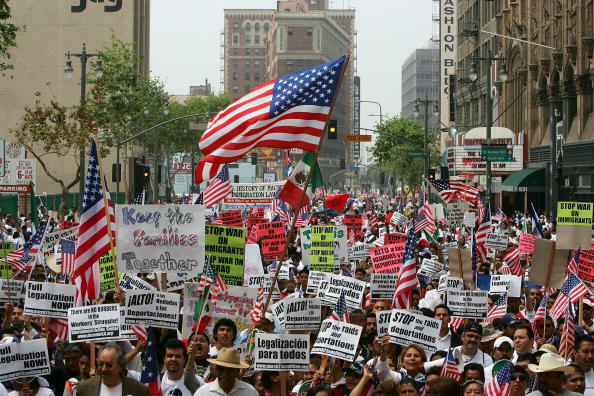 In 2006, over 500,000 people participated in a May Day event called “Day Without Immigrants,” as reported by The Los Angeles Times. 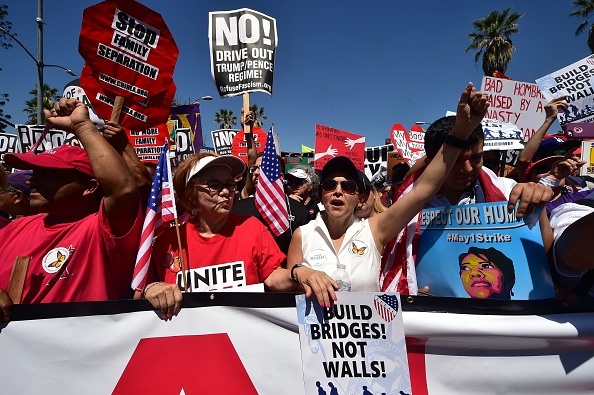 Protestors demanded a pathway to citizenship for the city’s many hardworking immigrants. Today in Milwaukee, thousands of protestors are expected to march both for workers’ rights and against local Sheriff David Clarke — a Trump supporter who has repeatedly defended the president’s anti-immigration policies and may be tapped for a position in the Department of Homeland Security. Right now, there are also peaceful marches happening around the world in countries like Bangladesh, Greece, Poland, Moscow, and Venezuela. 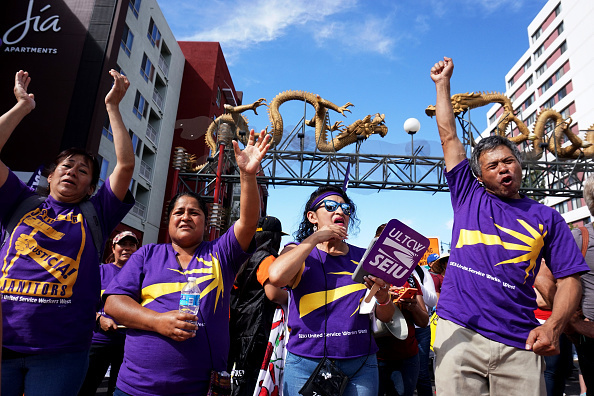 Although May 1st is always an incredibly important day for workers, it’s drawn more attention than usual in America this year as immigrant workers and their millions of allies march on behalf of their rights.